The bloggersphere loves Korres so I know my viewpoint is probably going to get me a few unfollows. What winds me up about these products? Well, yes they have an impressive free from list but the product ingredients are still as long as my arm, with not many natural ones and a lot of unpronounceable ones. 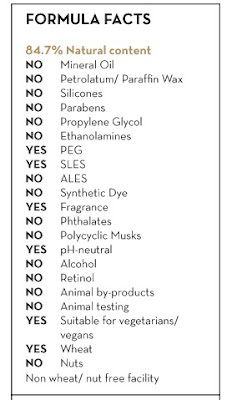 Even with the Free From list proudly displayed on bottles, they also highlight they are using SLES (Sodium Laureth Sulfate), PEG and Fragrance. I find it a little puzzling why they leave in these synthetic ingredients. Also I'm unsure how you can declare fragrance as "Allergen Free" (see the Milk Proteins 3 in 1 Cleansing Emulsion). If anyone can shed any light on this claim then I would be interested to hear an explanation. Free From labelling aside it's interesting to dig a little deeper into the full ingredient listings. I can't go through every product but I randomly selected a couple from the website and used EWG to source my information. Jasmine Shower Gel - not only does it contain SLES but also Imidazolidinyl Urea - "antimicrobial preservative that acts as a formaldehyde releaser in cosmetics and personal care products." Another ingredient which catches my attention is Cocamidopropyl betaine - "a synthetic surfactant; it has been associated with irritation and allergic contact dermatitis, reactions that could be due to the ingredient itself or to impurities present in it, such as 3-dimethylaminopropylamine." Quercetin & Oak Night Cream - contains Silica Dimethyl Silylate, although the EWG database has no data it is described as "a silica-based synthetic derivative"
Lip Butters - A firm favourite with bloggers but the first ingredient is Polybutene “a polymer used as a plasticizer and viscosity agent.” Polyethylene is a common plastic, Propylene Carbonate is derived from propylene glycol. My guess is there are many more ingredients in their products that I don't recognise. 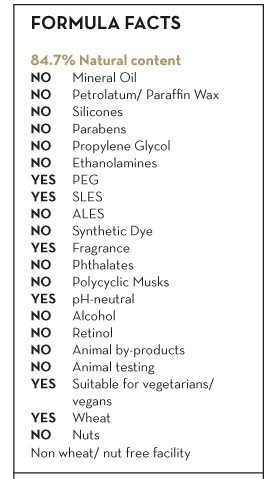 The use of phenoxyethanol and Japanese Honeysuckle are debatable, they are common in products without Parabens. From a food allergy prospective I noticed many products contain wheat and gluten, a couple have lactose and whey proteins. Whether you avoid these ingredients and products is entirely your own decision. Just don't let companies like this one, pull the wool over your eyes. They are NOT at one with Mother Nature. Obviously everyone is different when it comes to sensitive skin but I would be cautious with Korres, there are a number of ingredients which have the potential to be a skin irritant. Funny you should say this because I bought a natural beauty box from a company and bust open my Korres Guava Showergel. As soon as I started using it I thought 'this lathers well for natural' checked the bottle and the third ingredient was sls which stumped me. I have a post due about a shampoo brand who whack organic in the name when in fact the rubbish in it has caused long term issues with my scalp. I was naive and trusted said brand...bad idea which im paying for now. A very informative post! I've purchased 2 products from Korres, and I decided on my second purchase that it would end there. It's the lip butter(disliked it) and the wild rose brightening mask. I actually liked the brightening mask, but it contained too many synthetic ingredients, as well as ingredients I prefer to avoid. Funnily enough I looked at the Korres lip butters as I'd read about them on another beauty blog, but like you I was stumped to see that there were a tonne of ingredients on the back that I didn't recognise, and those that looked familiar looked like the things I'd been reading dodgy things about. Evelyn - absolutely - there are SO many brands that call themselves green, simple, organic, but when you look at the ingredients you get the real story. If this does lose you some followers - you gained one in me. What you said here is true doesn't matter whether you have an interest in natural ingredients the fact is this so called "natural" brand uses very few ingredients you would find in the world around us.